From Mediaite: Remember that awkward time when NBC’s Today decided to air an interview with Kris Jenner (of Kardashian fame) instead of a moment on silence on 9/11? Yeah. That happened. Now, reports Mediaite, Kris Jenner responds: “Don’t think the mother of six was flattered to have some extra TV time, though. The California native is reportedly furious about the headline-making incident. ‘Kris is a big supporter of the troops and she’s very upset about this,” a source told RadarOnline… ‘She isn’t saying so publicly but she is furious. She’s angry the show put her in this position. '” Read more here. From Gossip Cop: Dan appeared alongside Kelly Rutherford on The View today to discuss her ongoing custody battle. Writes Gossip Cop, “Earlier this month, a judge ruled that the “Gossip Girl” star’s three-year-old daughter and five-year-old son would live in France with their father, who cannot enter the U.S. due to a revoked visa, a shocking decision that Rutherford says she’s determined to fight… Gossip Cop co-founder and ABC legal analyst Dan Abrams attempted to explain the judge’s logic in such a decision, but even said that the children’s lawyer thought it was in their best interest to remain in New York.” Read more and watch video of the segment here. From Geekosystem: Have you ever been to Guam? In any case, now’s probably not a good time to visit, reports Geekosystem: “Invasive species can be bad times pretty much anywhere, but nowhere do they cause so much trouble as an island. In the closed environment of an island, just a couple of out of place animals can utterly transform an entire ecosystem. Invasive brown tree snakes in Guam have devastated populations of native birds that once dined on the island’s spiders. With those birds on the ropes, Guam’s spiders have taken the run of the place. 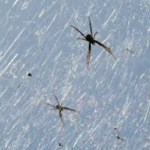 The result is an arachnid population boom so serious that gaps in the island’s tree canopy are now regularly filled with enormous spiderwebs.” Read the story here. From Styleite: Fashion Week ends today, and Styleite is continuing their coverage down to the last minute. 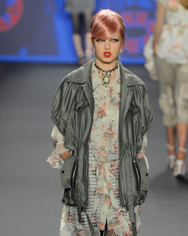 Today, they’re reporting on Anna Sui’s show: “Anna Sui is known for her cute, whimsical, and often musically-influenced wares — and for never taking fashion too seriously. Yesterday evening, she stayed true to her canon with a collection of sweet and punk ensembles inspired by French antique dealer and interior decorator Madeleine Castaing and 1970s punk scene… The whole collection was totally on point — prints on prints on prints, lux embellishments, ripped fishnet tops, tough motorcycle jackets, and sprightly cat-ear hats, and all in every shade of the rainbow.” Read more and see pictures here. From SportsGrid: Remember when Mike Francesa seemed to fall asleep during his televised radio show as reporter Sweeny Murti was talking, and then the internet had a field day? Yeah. 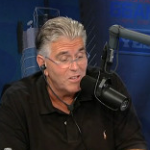 Well, now Francesa is responding, reports Sportsgrid: “The incident had no impact on the show – Murti was still talking when Francesa lifted his head back up – but Francesa made one of the greatest faces known to man upon stirring. And that was more than enough for the clip to immediately enter Francesa lore, right alongside classics like his recentsavaging of the Mets and his failed attempt to covertly eat his ice cream. But today, Francesa wanted to set the record straight. According to him, he closed his eyes while Murti was talking, but never actually fell asleep.” Decide for yourself here. 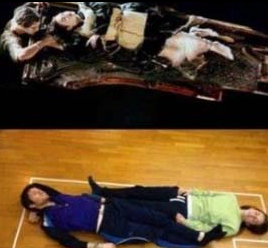 From The Mary Sue: James Cameron is crushing your romantic Titanic dreams. 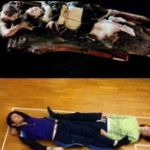 Writes The Mary Sue, “In response to the long-standing theory explored by a Reddit user that Jack could have easily fit onto that door with Rose (don’t pretend like you don’t know what we’re talking about), Cameron has gone on the record stating that it’s not a question of space, but a question of buoyancy. As we all recall (yes, you do, don’t pretend), when they first find that piece of door, both of them try to get on it, only to have it start to sink/flip over. As Cameron says in the accompanying video (skip to 4:20 for relevant raft-talk), ‘Jack’s not an idiot, he doesn’t want to die…but it’s clear there’s only enough buoyancy available for one person. '” Read more and watch video here. 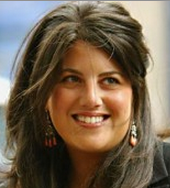 From The Jane Dough: Would you read a book written by Monica Lewinsky? Well, soon you probably can, if you want. 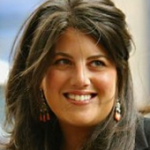 Reports The Jane Dough, the “[f]ormer White House intern… who famously had an affair with President Bill Clinton in the late ’90s, is shopping around a ‘top-secret book project’ to ‘major publishers,’ according to Page Six. The 39-year-old has reportedly been chatting with big time publishers, who were all required to sign a nondisclosure agreement just to take meetings with the London School of Economics graduate. Her rep provided a cryptic statement to the Post, ‘I cannot comment on anything at this point. '” Read all about it here. From The Braiser: Downton Abbey fans who eat food, listen up! 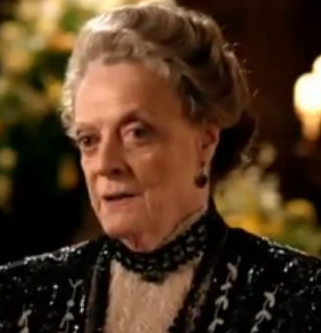 Writes The Braiser, “We know the Season 3 trailer has you all jonesin’ for more Downton Abbey… But, thankfully, someone has compiled an Unofficial Downton Abbey Cookbook, now available on Amazon, for you to keep yourself occupied with until the premiere draws near. Do you fancy yourself a Crawley type? (Translation: do you have $100 to spend on ingredients and 10 pounds to gain in one meal?) Try your hand at the Filet Mignon with Foie Gras and Truffle Sauce. We bloated just reading the sentence! If you prefer a peasants’ meal, flip through the “Downstairs” block of recipes, which features meals made with less expensive ingredients that the servants would have eaten.” Read the article here.